The Great Outdoors is what you'll find in Naples, Idaho. Naples is a small community in Northern Idaho, a place where people go to enjoy a world that many dream about. It is an unincorporated community with about 1,861 people living year round. Most of the city's citizens work at the k-5 school or in nearby cities of Sandpoint or Bonners Ferry. This is a resort area and the outdoor life is what everyone enjoys here. Idaho summers are beautiful and Naples has that and then some. Yes, the winter can bury you in snow but being prepared for that and even redesigning your lifestyle to make the most of the Idaho winter is the secret to living year 'round in a very scenic and natural setting that Naples has across the region. It starts with having the right vehicles and winter gear and boots to keep you warm, safe, and out of the snow. In addition, having the equipment and ability to keep the snow off your porch and in front of your house keeps you from being penned in by a periodic snowfall. Imagine the exercise you get from periodically clearing snow ... yes, it's not for everyone but it will get you in better shape if you're still early enough in your years and somewhat able to get around ok. 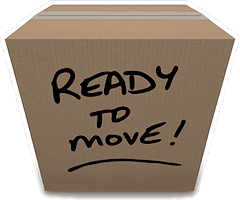 If you're ready for a new life in Naples, we are the moving company that can get you here. Moving is a complex operation, whether it's a local or long distance move. No matter what the distance it's critical that the load be packed properly, loaded correctly and delivered on time and unloaded as well. You simply cannot cut corners or valuable property can be damaged or lost. This is where a professional, local and long distance mover is the only logical choice. 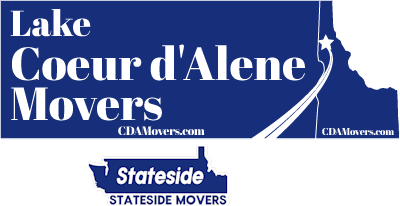 Lake Coeur d'Alene Movers / Stateside Movers LLC has earned a five-star rating and works hard to keep it. Every move, local or far away is important and we do our best to make sure every item arrives safely and ready to use. Moving involves planning and trying to stick to the plan. Moving to a rural place like Naples requires having all the ducks in a row and getting the right amount of moving supplies. Carefully packing the boxes and safely cushioning grandmother's best china and other items that need care is best done with expert help. Our packing and loading services will make the job easier; make sure everything comes out of the box the way it went in and arrive safe and secure. Our experts will wrap, cushion and secure all kinds of items and then see that they get loaded securely so that nothing gets broken. Load shifts happen when improperly secured items move and fall. Labeling boxes to show how they should be handled is another necessity. We care about your belongings as much as you do. Five-star ratings don't come easy. They have to be earned and then you have to work harder to keep them. 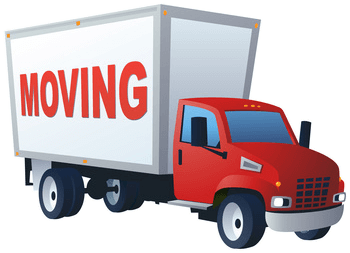 Lake Coeur d'Alene Movers / Stateside Movers LLC will go the distance for you in local and long distance moves to Naples, Idaho.